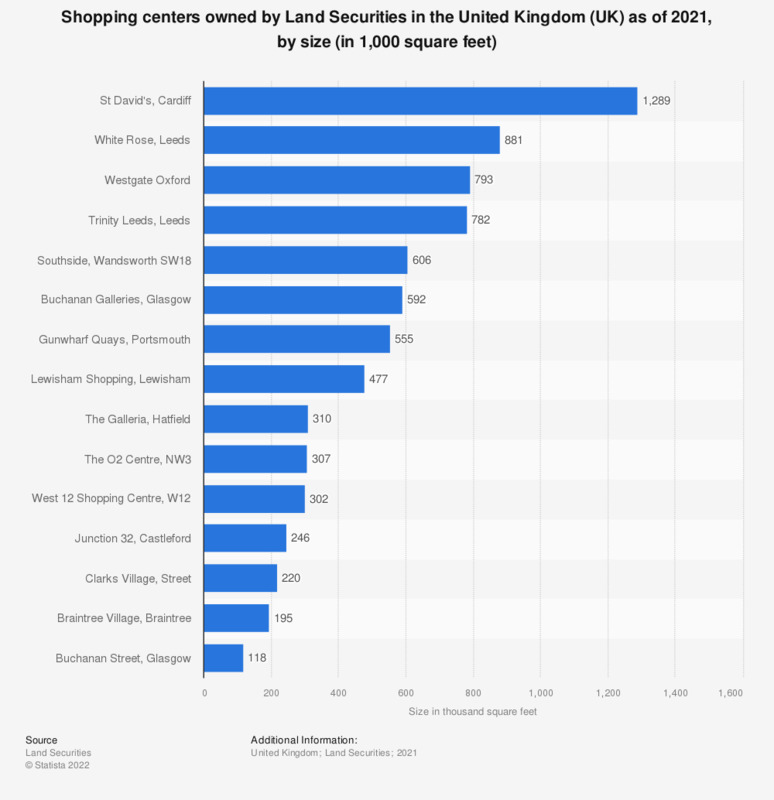 This statistic shows a ranking of shopping centers owned or part owned by the Land Securities Group in the United Kingdom (UK) by size as of 2018. Of the centers listed, Bluewater in Kent is the largest, with an area of approximately 1.8 million square feet. * All shopping center properties listed are those owned or part owned by the Land Securities Group PLC. The source does not give a publication date. The date given here is the date of access.